The card is cooler than reference cooler. When i recieved this GPU and when i opened the box it was wow this is a pretty big graphics card and looked really cool and i like the black color to go along with the inside of my pc case which is also black, and it was an easy install to do. I think HIS has made a awesome graphics card and has been well constructed for years of performance and for half the cost of a nvidia graphics card in the same range and will perform as good or even better. Every game i tested like Dishonored, Metal of Honor Warefare, Borderland 2 and Mass effect 3 etc all at max settings and the temperature never exceeded over 50c on all the games and the fan speed never exceeded over 35 - 37% and was very quiet during all the gameplay being done on these games and was a treat to play these games with so little noise from the fan. The framerates on all these games were around 60 fps except Metal of Honor Warefare which was from 47- 50 fps which is still very good for that game. 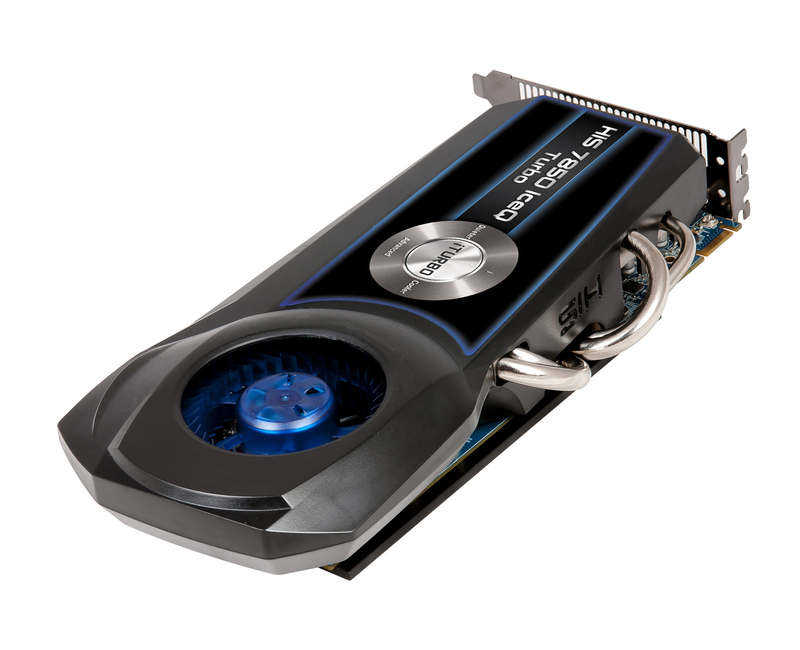 This graphic card performs great in BF3 in “ultra” (highest graphic setting). I tried ARMA2 and there I had to go for “high” (second highest graphic setting). The card is very silent and comes with a “one click” overclocking feature which works perfectly. 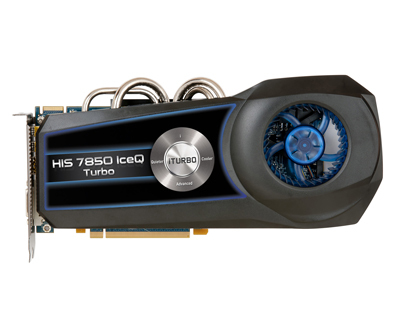 You can monitor the temperature of the card and decide your own overclock setting if you prefer. If you have a transparent computer case the card looks awesome with the metal heat pipes! Every game at through at it like Dishonored, Metal of Honor Warefare, Borderland 2 and Mass effect etc all at max settings and the temperature never exceeded over 50c on all the games and the fan speed never exceeded over 35 - 37% and was very quiet during all the gameplay being done on these games and was a treat to play these games with so little noise from the fan. Inexpensive upgrade from previous generations. This card is great. I purchased an HIS HD6950 nearly two years ago and it was a great card. At the time it was nearly as good as nVidia's competing products, but half the price. The biggest problem I had was the 1GB VRam limitation. For Skyrim, GTA IV, and Shogun 2, I turned off shadows to fix the performance issue. As the next generation of games are coming out, I knew it was time to upgrade my card. The IceQ 7850 fit the price point and specs well. Double the VRAM and a great all around clock speed bump sounded like a great idea. 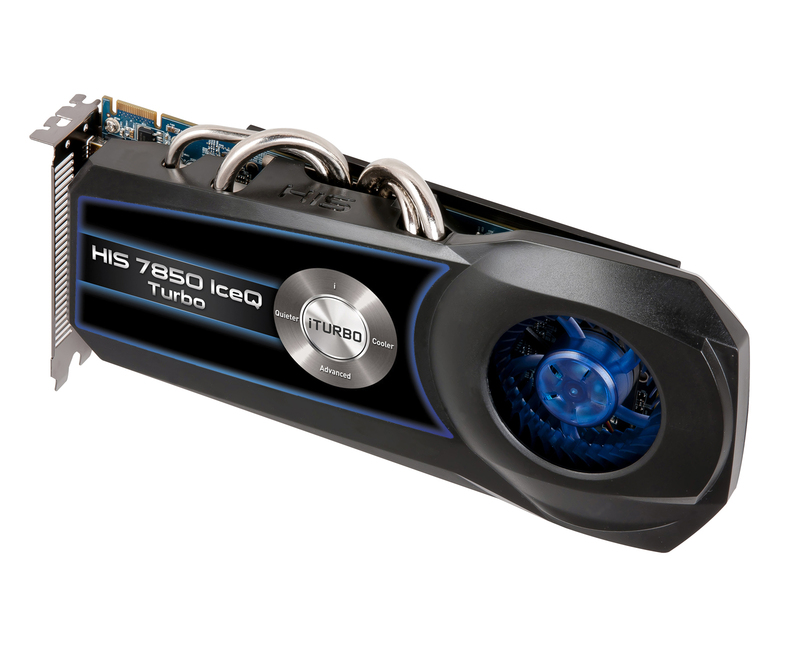 This card runs so much quieter than my old 6950, I thought something was wrong with my computer when I booted it up after installing the new IceQ 7850, lol. Overall temperature difference. 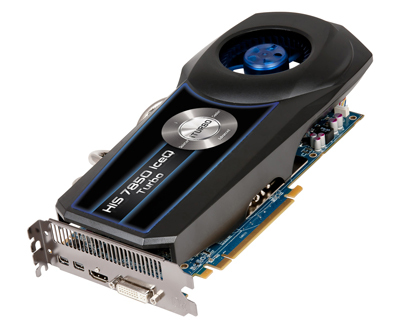 My old card would creep up to ~60c (~140F) and the fans would be screaming at 100%. This card hits ~40c (105F) after long hours of fighting dragons in Skyrim (with 30+ mods to make it look so much better) or mowing down the enemies of the shogunate in Shogun 2 Total War. Shadows! I can actually keep shadows on in games now. I've set every setting in every game to max and I haven't noticed any slowdowns as of yet. The packaging was superb. I generally don't comment on the condition of the package, I know UPS/USPS/FedEx really abuse boxes, but this box was beat up pretty bad by the delivery company. The card itself is encased in several inches of foam inside the box, so don't worry about rough shipping! None... 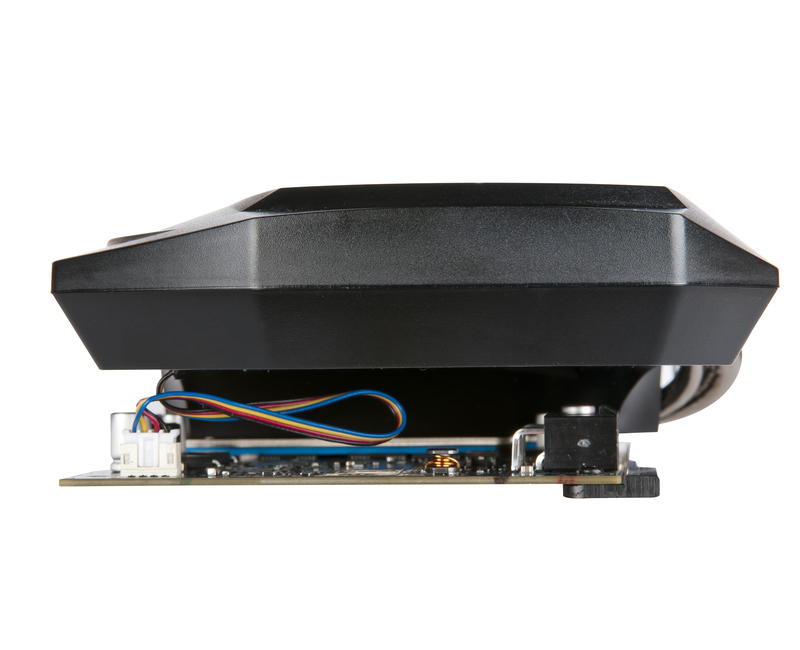 It's quiet , performs great, and was as easy as possible to install. "The card has remained quite cool after more than 42 mintes of Heaven 4.0 at the 2560x1440 with all filters applied (58 degrees Celsius). The fan did only raise at about 43%, while preserving low noise levels. 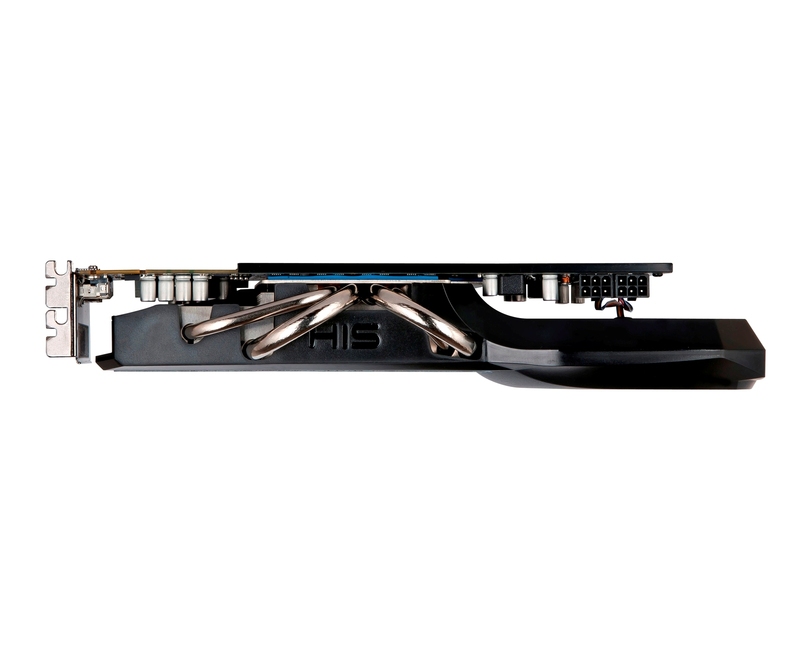 We found interesting is when the fan has reached a rotation speed of about 3000RPM, a vibration is induced into the whole assembly making the card a little bit noisier than when it runs with about 3200RPM. We have seen a similar behavior with a Palit card in the past but the card should reach this fan speed only when the surrounded area is not properly cooled. The cooling system is also to be appreciated because it removes the hot air that travels through the fins directly outside the case and does not permit hot air recirculation." 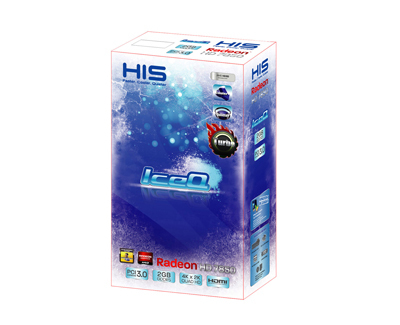 The HD7850 IceQ Turbo (model name: H785QT2G2M) is rated 5 out of 5. 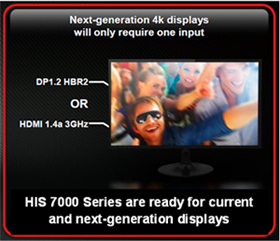 "The HD7850 is also shown very docile as the core frequency is increased to 1180MHz and the memory at 1400MHz. The cooling system is really efficient, which allows this increase in frequency." "Very impressive and that in another because the system cooling HIS house. It is composed of four pipes, two 6mm and two 8mm, which are in direct contact with the graphics chip..."
One extra PWM phase, good cooling and good overclocking are the reason of this good rating. 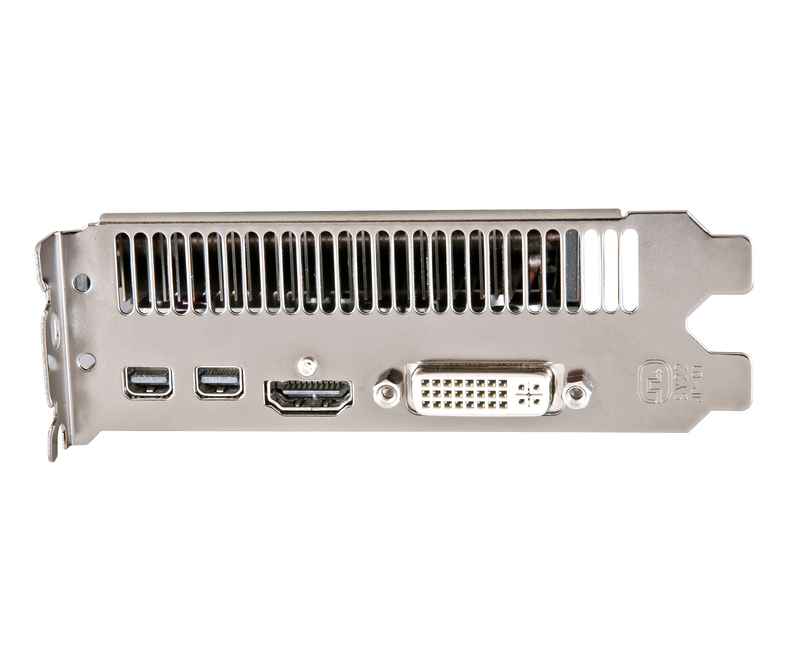 "Power draw was fantastic as well...At maximum load, the whole system used only 186 W. At idle, the Zero Core technology helped kick that number down to just 53W. 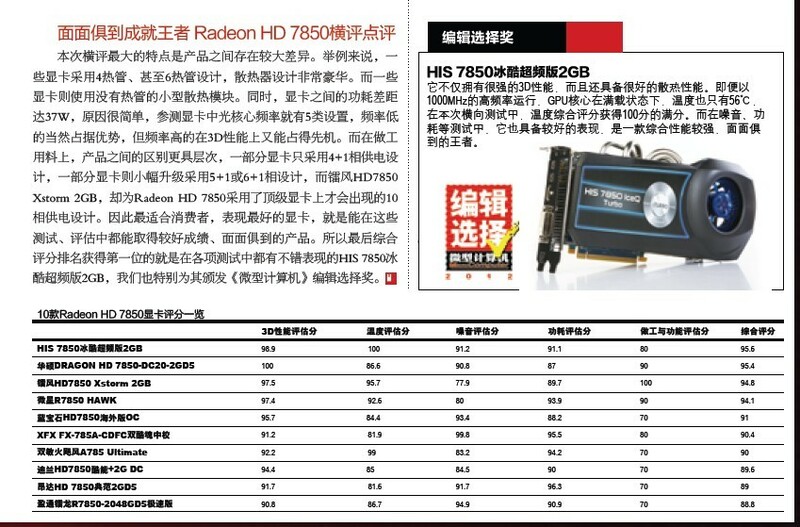 Both of these tests act as testimonies to the amazingly power efficient Pitcairn Pro GPUs...Just because the GPU sips power doesn’t mean HIS skimped on cooling. In fact, the new IceQ cooler comes attached is nothing short of a beast. Its quad heatpipes and large vortex fan helped the GPU sit at a chilly 23°C on idle, and just 53°C under maximum load. Noise wasn’t an issue at all either as the fan managed to keep itself to a low hum even under full load overclocked...Overall though, you can’t really go wrong with the HIS Radeon HD 7850 IceQ Turbo 2GB. Highly recommended!" Custom PC Review - Awesome Award "Gold"
"Overall I feel we have a solid card on our hands. Superior and quieter cooling over reference, a hefty overclock out of the box, and better power bits. 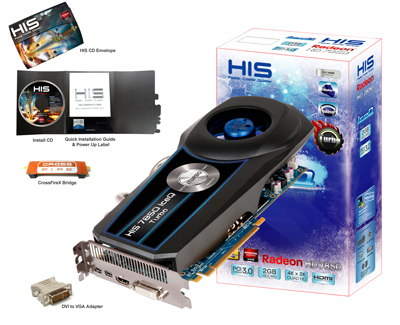 As we listed above, pricing at Newegg.com for this model is $229.99. That price point puts it towards the top of all available HD 7850′s, but $40 below the highest priced model (Asus DCUII v2 @ $269.99 – now has free Far Cry 3). I have to admit I wish the price would be a bit lower as you can find models with aftermarket coolers for less that can produce a lot of the results this card can.